Who is Dr S Ahiaku? Sefaakor is a British born Ghanaian who resides in the North West. She comes from a long line of medical professionals, including a mother who is a GP and provides out of hours care, a father who is a consultant urologist and a brother who is a junior doctor. Prior to dental school, she and her family lived in a number of different places, including London, Bournemouth, Plymouth, North Wales and Ghana. 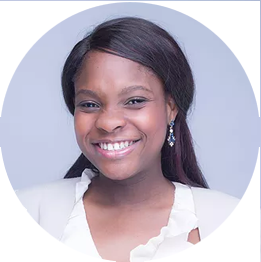 Having grown up amongst a diversity of people has given Sefaakor the skills to communicate and interact with a wide array of people – a skill which is invaluable in her job as a dentist. Sefaakor studied dentistry at the thriving University of Liverpool Dental School. During her time there, she excelled academically and over the 5 years she was there, she won the Gilmour Prize for Oral Health, the Scholarship Prize for her Restorative Case Reports and graduated with Honours – gaining distinctions in Restorative and Oral Surgery & Medicine. Since graduating from dental school, Sefa has continues to widen her knowledge of dentistry by sitting her MFDS exam, attending professional development course and conferences and by being involved in clinical audit and research. Sefaakor has worked in a number of different environments since graduation including general dental practice, dental hospital (rotating through each speciality) and district hospital as a maxillofacial senior house officer. These experiences have equipped her to be a well rounded clinician with a good level of experience in every dental speciality. Sefaakor is really passionate about music and community. In her spare time, she enjoys spending time with her Church family in addition to writing and performing music. She enjoys good food, arts & crafts and dancing. So what is the ‘difference’?